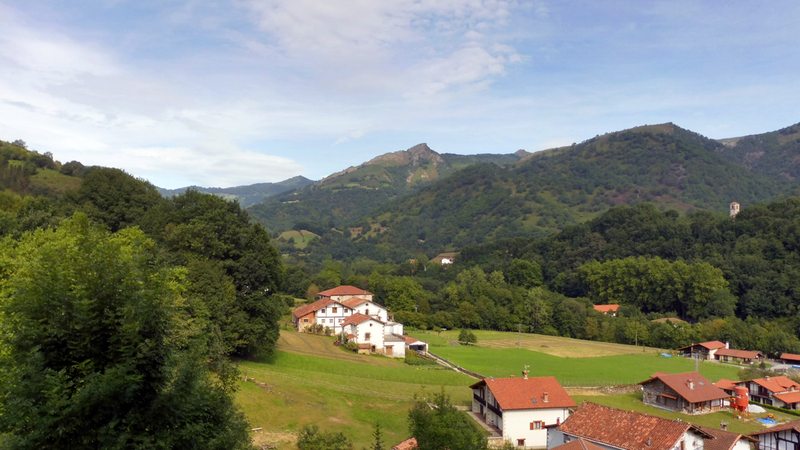 “Georgina’s enthusiasm for the Basque country and its people is infectious. She has lived in the area for years, so whether it is a sleepy mountain village, a traditional water mill, a falcon breeder or a Michelin-quality restaurant she knows all the best places to visit.” Julie. Teacher. UK. 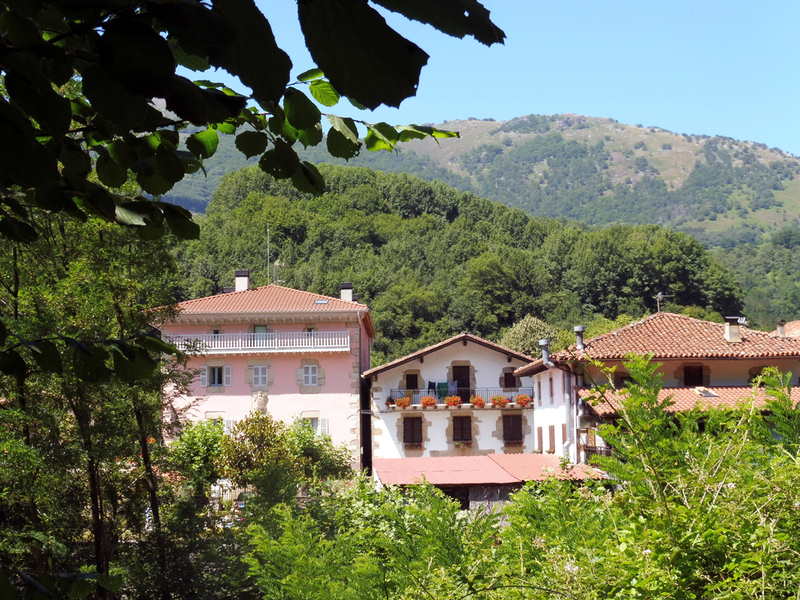 Ituren is a pretty, quintessentially Basque village situated to the west of the Baztan valley in the Pyrenean foothills of northern Navarra. 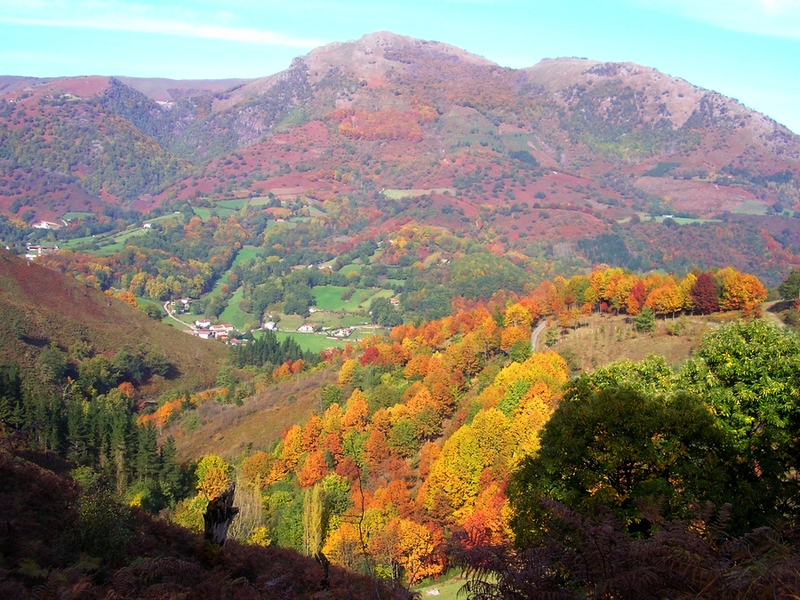 It is less than an hour from glorious San Sebastian (to the north) and the Roman city of Pamplona (to the south). The wide sandy beaches of the Altantic are just 40 minutes away. 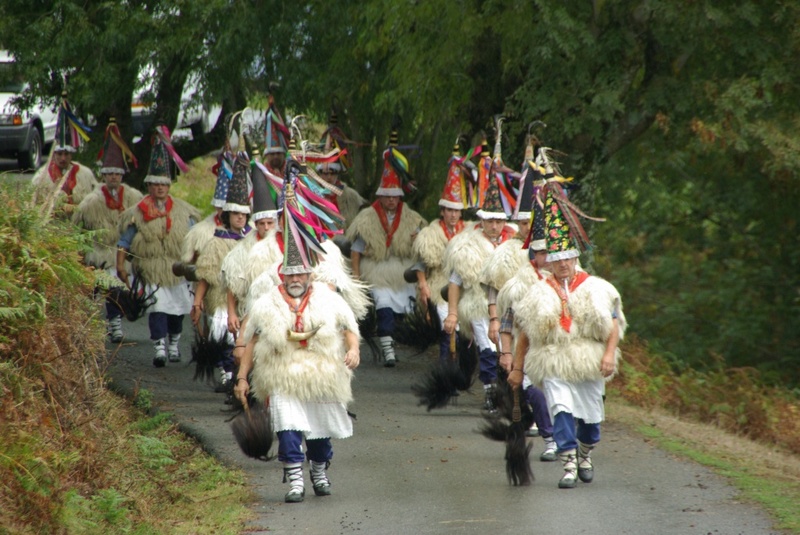 At the core of our village identity are the pagan carnival festivals in early spring which have attracted international attention and are arguably the oldest carnival rites in Europe. 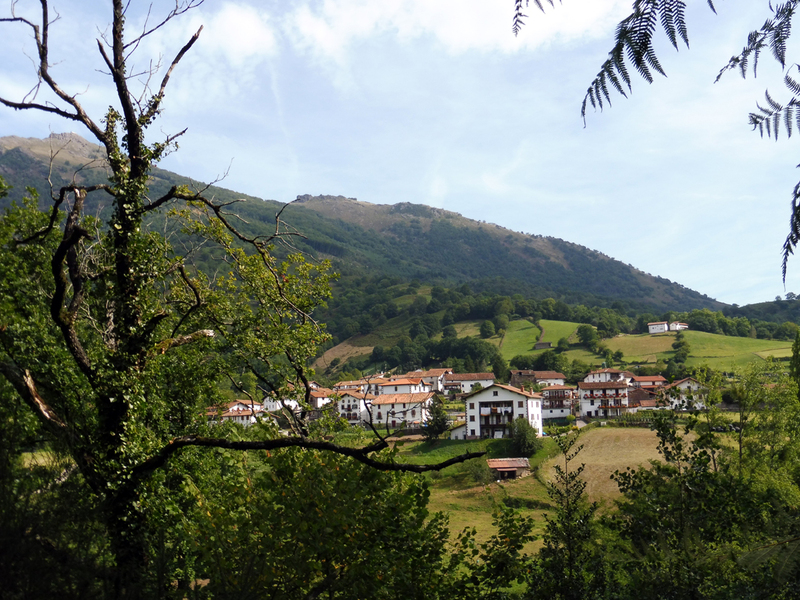 In 2013 the village had a population of just over 500 people spread between the main village centre of Ituren and the out-lying hamlets of Aurtiz, Latsaga and Ameztia (the highest and smallest of the hamlets where we are based). There are 64 children enrolled at the village school who all help keep the village culture and spirit alive. It is a lively, close-knit community with a vibrant social and cultural life. At present Ituren has 2 bars, 3 restaurants, a village shop and butcher, a chemists and a hairdresser. Our house is situated in Ameztia, a farming hamlet of about 22 people which lies 4km from the centre of Ituren and is a source of pride for us all. Here you will find the largest farms in Ituren and a very strong sense of collaboration. It is a beautifully-tended hamlet of verdant fields, dry-stone walls and hand-made bracken stacks. At 400 metres up from the valley floor its views are incomparable. 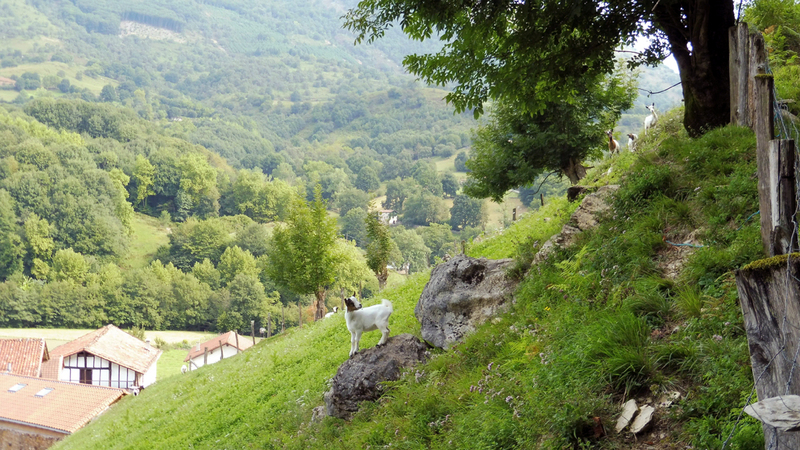 Traditionally the village economy depends on small-scale farming: semi-self-sufficient farms with their own cows, sheep, pigs and chickens and grain (predominantly corn). Both sheep and cows are exploited for their meat and milk and the tangy local sheep’s cheese is a prided version of the acclaimed Dominacion de Origin Idiazabal sheep’s cheese. Most people have large vegetable patches where they grow chard, green beans, lettuces, onions, potatoes etc. and ... in pride of place ...of course, the tomatoes. Quince, cherry, apple, plum, peach and fig trees are often planted around the farmsteads. Today, although many young people have had to search for jobs further afield, the village population is slowly expanding. 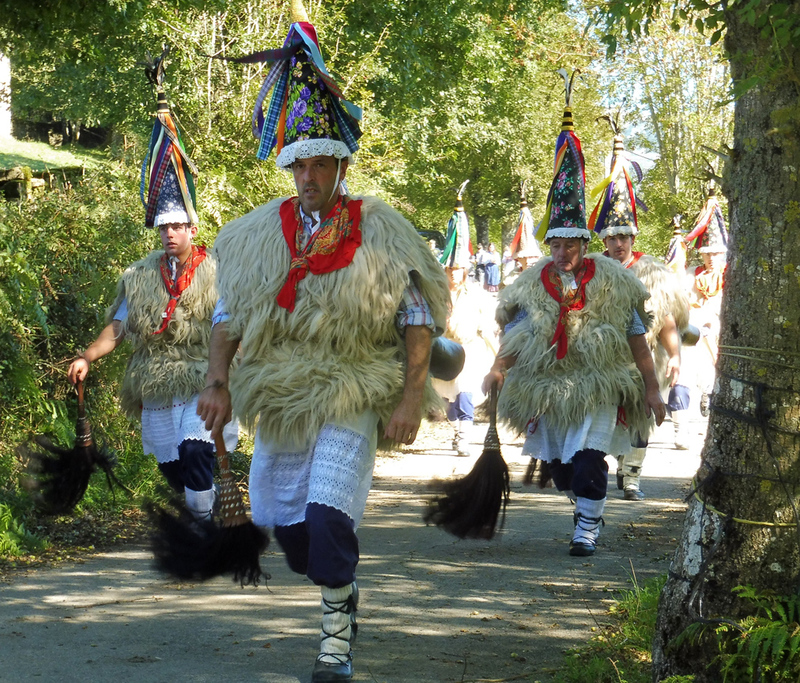 The Basque people are often very proud of their roots and have a strong tie to the land. Low-scale eco-tourism offers an invaluable second income for the local population however, despite the picture-postcard beauty of the area, it is surprisingly little known to foreign tourists. In the past political issues (i.e. 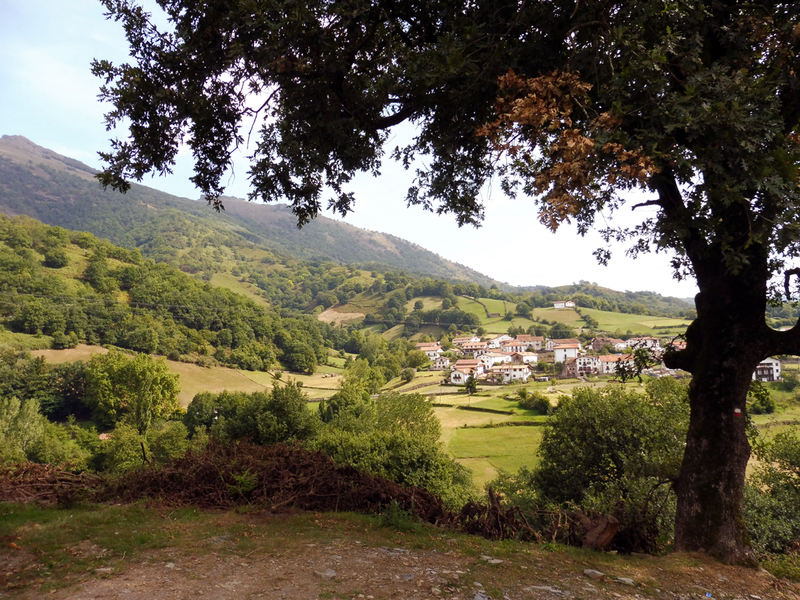 that this is a Basque community in the middle of Spanish Navarre) meant that local government was unforthcoming with funding to promote the area. 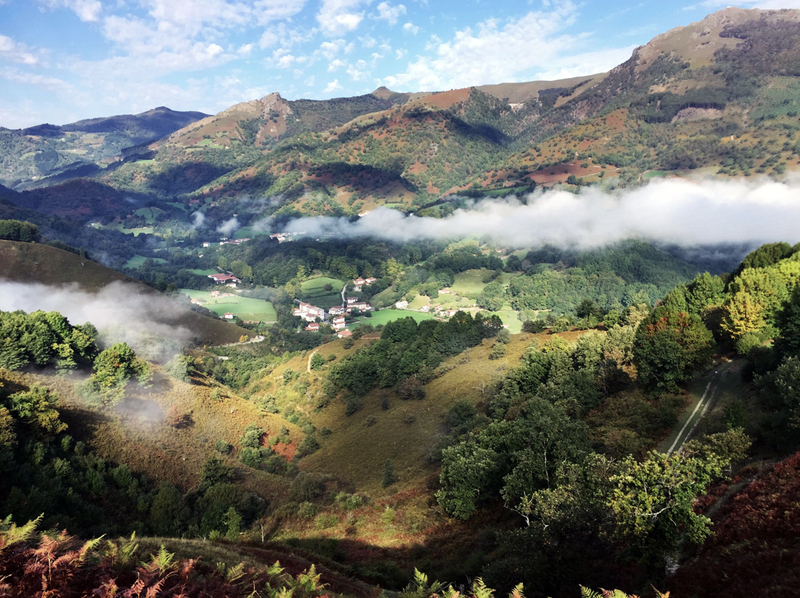 This has been left in the hands of small, private ventures like our own and a small, struggling local tourist board and means that these valleys remain among the most traditional areas of the Basque Country. Today, Ituren is best known for its carnivals which take place at the end of January and have been hailed as possibly the oldest pre-Indo-European carnivals in Europe. These carnivals lie at the very core of our village identity. 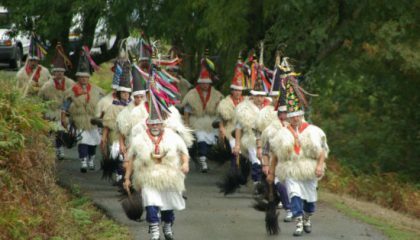 The protagonists of the carnival are known as the Joaldunak or Zanpanzar; men from the village who wear sheepskins and colourful conical hats with flowing pastel ribbons topped by a cockerel's feather: this mix of masculine and feminine articles symbolizes fertility. The Joaldunak carry horsehair whips and strap large cows’ bells around their waists which they ring through a series of rhythmic thrusts of their hips as they enter an almost trance-like state. The rest of the villagers dress up as witches and demons who scatter in their wake. These carnival traditions symbolise the eternal struggle between the forces of winter and spring, light and darkness, good and evil. Much more information on these carnivals can be found among my numerous blogs.